The mission of Criminon is to restore self-respect in offenders and at-risk individuals by providing correspondence courses and on-site programmes that address illiteracy, teach basic life skills and help restore moral values. Based on L. Ron Hubbard’s discoveries in the field of criminal rehabilitation, the results of the Criminon programme have been remarkable, dropping the rate of prison violence by 97 percent and halting the revolving door of reoffenders by reducing recidivism rates by 88 percent. The programme has been so successful that in some countries it’s mandated across entire prison systems. Staffed largely by volunteers, Criminon (which means “no crime”) also trains personnel at correctional institutions and juvenile facilities for delivery of on-site rehabilitation programmes and works in partnership with police departments and preventive programmes to help promote a world without crime. 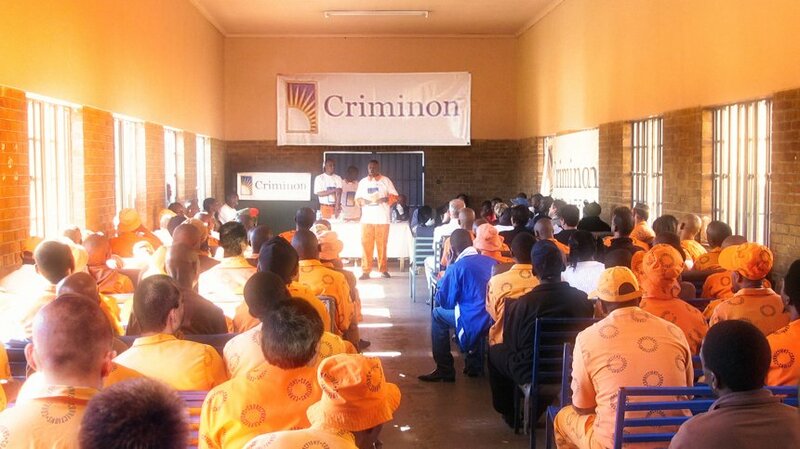 Criminon operates in 2,100 penal institutions around the world, including 50 facilities in South Africa. Criminon was implemented in Leeuwkop supermax prison in South Africa, dramatically reducing violence and dropping recidivism across the province. One of the main tools used by the programme is The Way to Happiness, a non-religious, common sense guide to life. Its 21 precepts have restored self-respect among even the most hardened criminals, guiding them onto the path to becoming useful members of society.